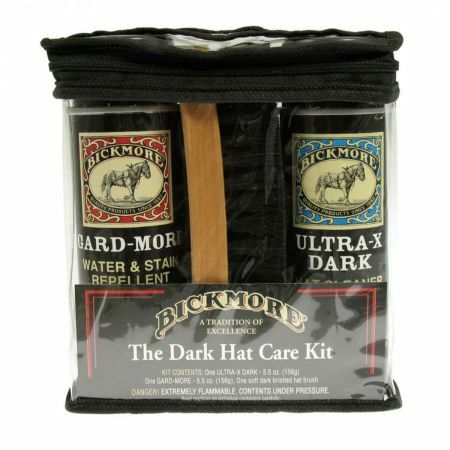 The Bickmore Light Felt Hat Care Kit is the convenient all-in-one care kit for light colored fur felt hats. 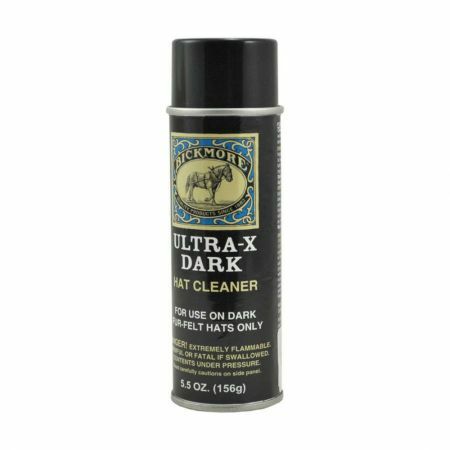 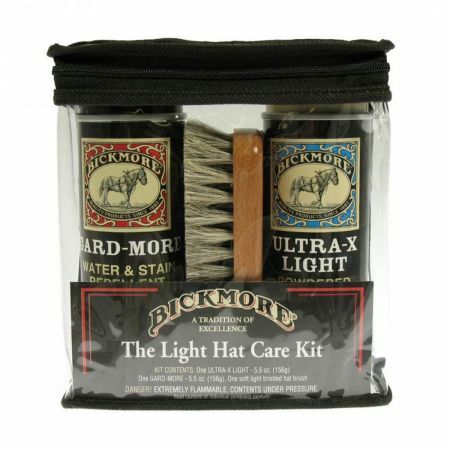 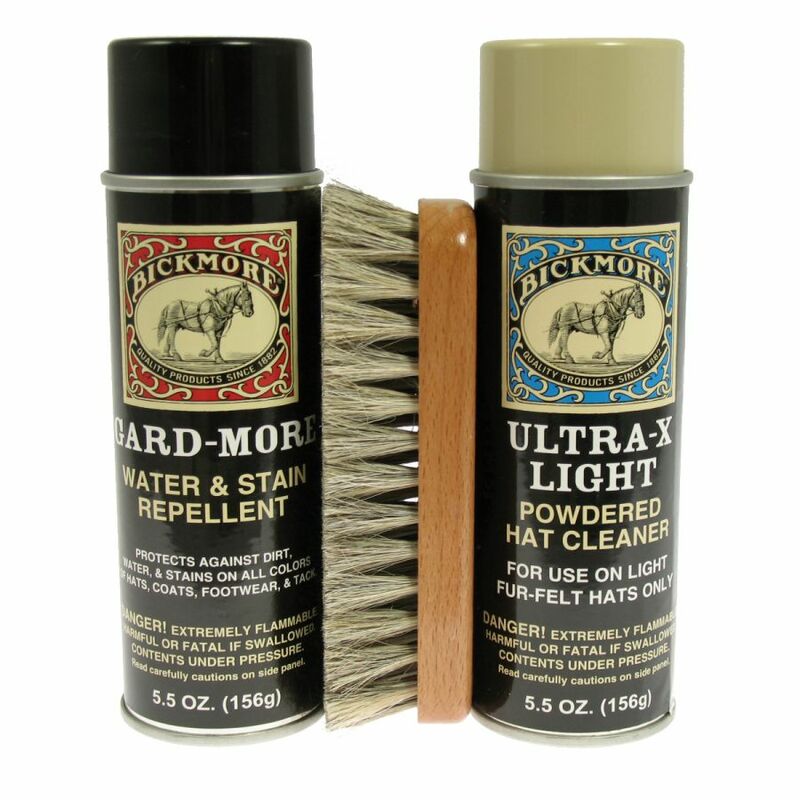 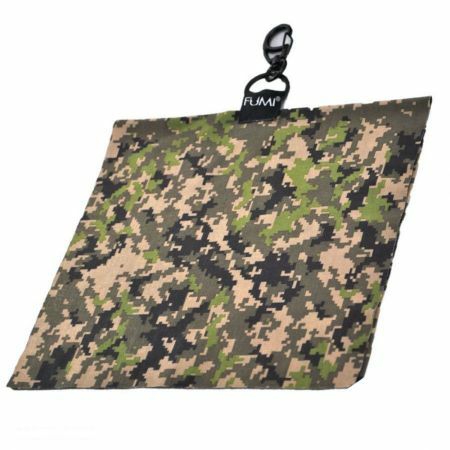 A must-have for hat aficionados everywhere, the Light Felt Hat Care Kit includes Bickmore's Ultra-X Light Hat Cleaner and light hat brush to effectively remove dirt and stains from your favorite light felt hats. 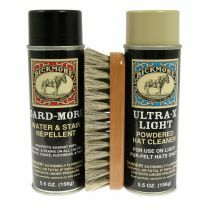 Also included is their famous Gard-More protective spray to help prevent future stains and water damage. 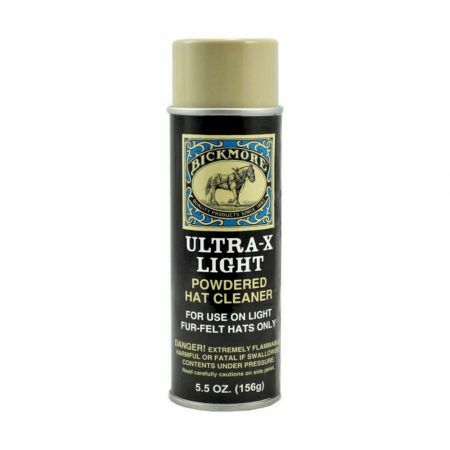 (1) Ultra-X Light Felt Hat Cleaner - Removes dirt & stains from most light colored fur felt hats. 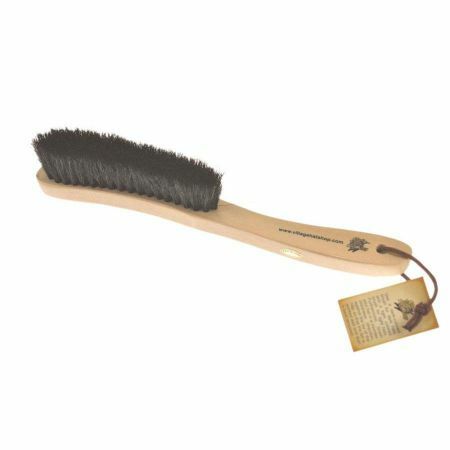 (1) Light Colored Hat Brush - Soft bristled light brush for use on light felt hats.